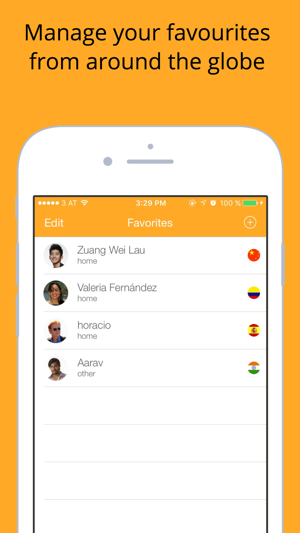 toolani is the best app for cheap international calls. Save up to 90% on oversea calls without any loss of quality. 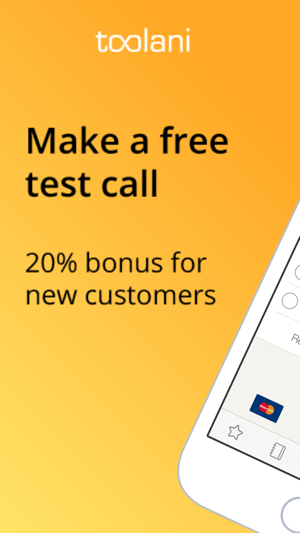 Try it for free - your first call is on us! Top rates to Germany, Poland, India, China, Thailand, Nigeria and 200 more countries. * It's super cheap to call abroad to more than 220 countries. 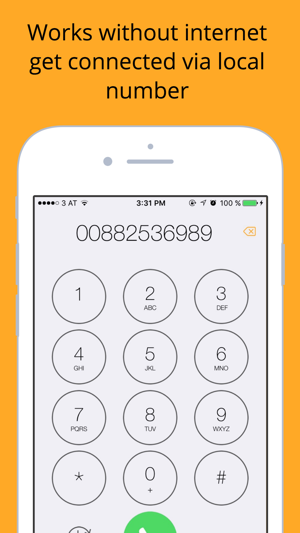 * Make international calls to any phone: fixed and mobile line. * No internet connection necessary. Risk free - your first call is free! 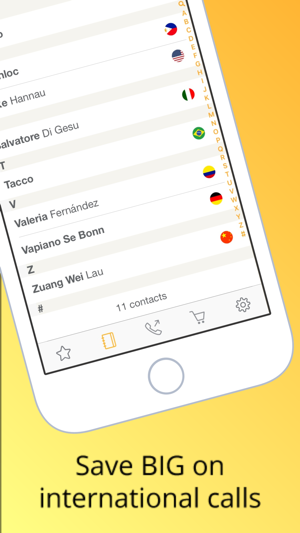 The app automatically recognizes all your international contacts, then with a single click you can call over toolani and save up to 90% vs. making the same call via your mobile provider. You always get the best call quality. 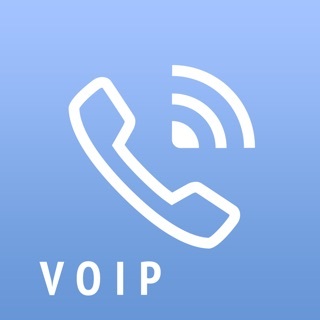 The app connects you via a local landline number in your country to the person you want to call abroad. This means call quality is always really high and calls don't need the internet. 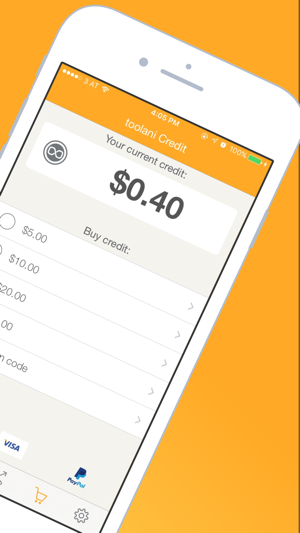 Thank you for using toolani. This version contains minor bug fixes. I am an American Expat to Barcelona, Spain. I have found this app to be so helpful. It is easy to pay, easy to use, and I have never had a problem! NEVER HAD A PROBLEM! All you have to do is call the number you wish to call, and then call the number they give you. It is simple and works perfectly, at least for me, every time! Thank you Toolani. I like the convenience of this app and staying connected to my overseas family when and where I want. However, every time after a call from the US to the Netherlands I receive a message that the rate is increasing I started with 9 cents a minute now it’s 32 cents. So I’m looking for another calling app. Please note, that our negotiations were successful and therefore we were able to lower our rates for calls to the Netherlands again.